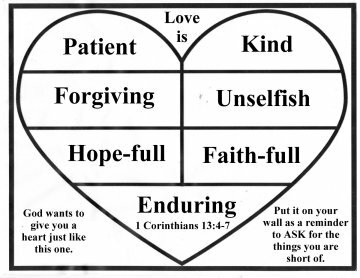 Free Bible Coloring for Valentine's Day. 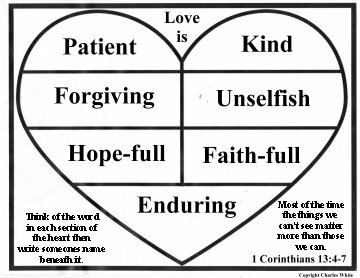 Printable Christian Valentines Day Cards. Color your way to God's Love. 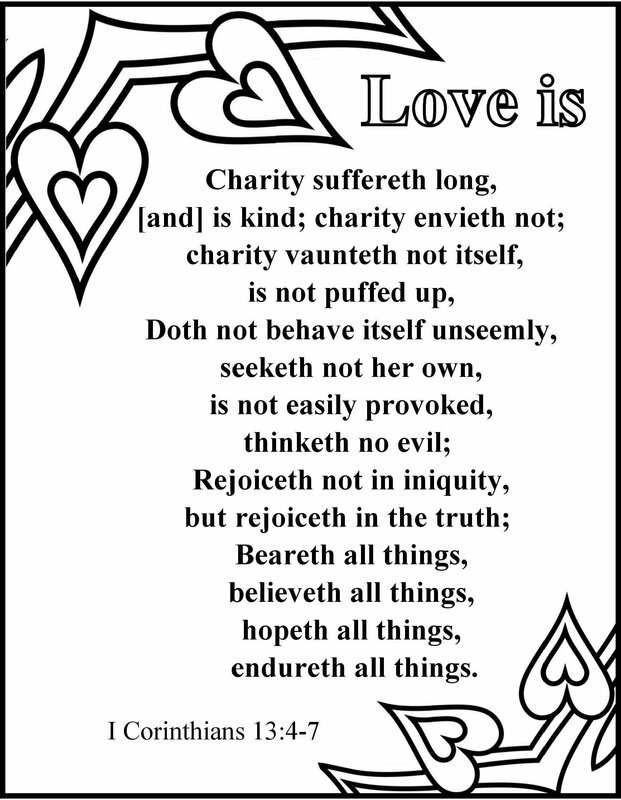 the mini posters of 1 Corinthians 13. 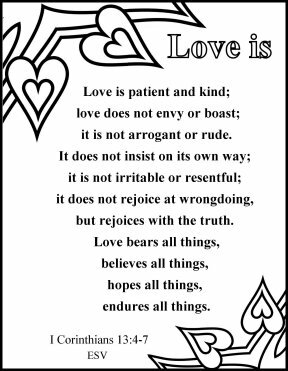 We hope you enjoy the Valentines cards, activities and coloring pages. 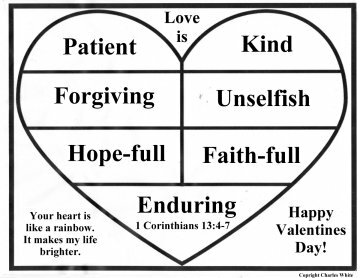 Free Bible Coloring for Valentine's Day. 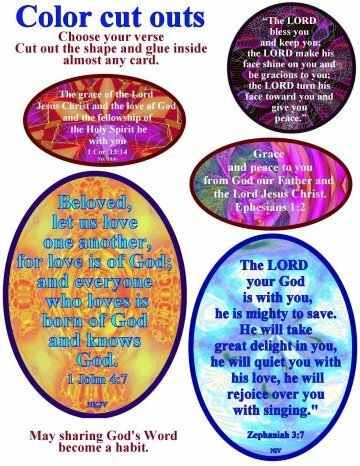 Printable Christian Valentines Day Cards.